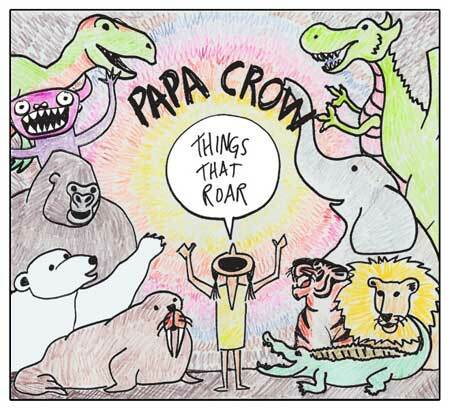 Things That Roar is the acclaimed debut kids and family music album from northern Michigan singer/songwriter Papa Crow. Recorded at home (late at night when his kids were asleep) this thoughtful and fun homemade album appeared on many children's music Best of 2011 lists. Multi-instrumentalist Papa Crow is joined by many friends and family members (including his two young sons) on songs that explore invisible polar bears, chicken lips, hairy frogs, things not to be afraid of, licorice, lemonade, kites, being a kid, having a kid, and a loud girl named Eleanor. This is a compilation of their first and second CD.